Espresso martini with coffee liquor and vodka – Cold coffee just got a whole lot more interesting! This drink goes down really well after a nice dinner and also works excellent as a pick-me-up at your next cocktail party. 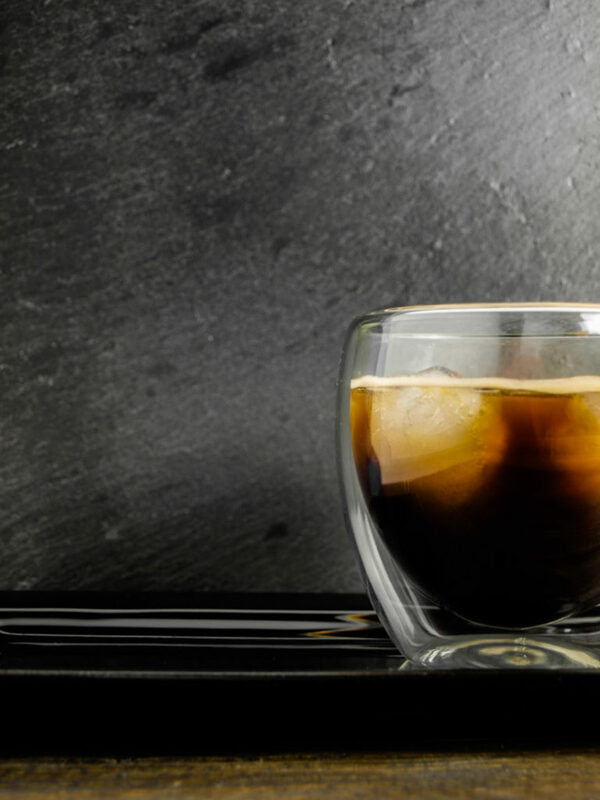 Chill the warm espresso in the fridge before serving this drink. That way the ice cubes won’t melt as fast. They will still melt after a while, but it’s a small sized drink to begin with, you will probably finish it before being watery. If you want to make sure that your drink doesn’t get watered down at all, you can also for full cocktail shaking magic! Put your mixed espresso martini in a cocktail shaker, add some ice and shake the hell out of it to rapidly cool it down. Strain into a martini glass and garnish with 3 coffee beans. Anywhere, here we go then! Make one tasty espresso martini! Make a fresh cup of strong espresso in whatever way you prefer. Add the sugar to the hot espresso and stir immediately until fully dissolved. Transfer into a short wide glass. Add coffee liquor as well as vodka to your hot sweetened espresso. Give a stir and set the glass in the fridge to cool for about 10 minutes. Add the ice cubes and serve immediately. Sip away on your delicious liquid dessert! Well, what do you think? Do you like the ratios of this drink or do you think it’s out of balance? Let us know in the comments below!